Around mother’s day I was asked to review a piece of mother’s jewelry from Mama’s Jewelry! If you’re not familiar with mother’s jewelry, these are pieces that incorporate your kid(s) or grandkid(s) birthstones, a beautiful way to symbolize your children or better yet honor your mother. Scott and I decided on this design for his mom. 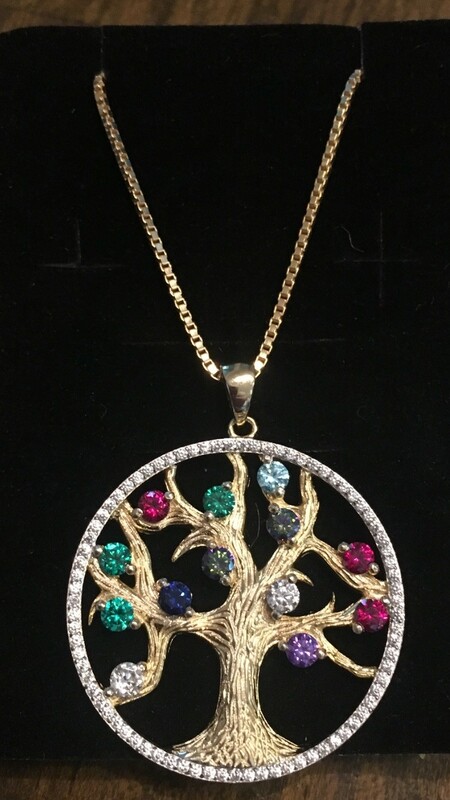 We incorporated all 11 birthstones of her children, their spouses and her grandchildren. We even filled a 12th space at the bottom with a white (diamond) stone, knowing the family might grow by one more… she can then switch that stone out with the new babies birthstone! NO! Scott and I are not having any more Mama’s Jewelry has been designing rings and pendants for moms for 30 years. A key benefit to shopping with them is fast turnaround times. As soon as they receive your order, their CAD technicians and certified jewelers get to work designing and building your custom item.